Mr. Koerber held the post of Director of Music and Organist for Our Lady of the Mountains Church and its concert series for the past four years. Besides providing music as principal organist, he arranged and performed in duets and trios and specially forumlated chamber ensembles. He worked to create venues comprised of musicians culled internationally for exclusive one-of-a--kind events with members of prominent orchestras including string instrumentalists Uno Tone, Lucina Horner, Trumpeter James Broderick & vocalist, Elizabeth Evans. Mr. Koerber joined in performance with ensembles such as the String Lake Quartet and The Jackson Hole Brass Quintet. He composed and conducted world premiere performances of his own large scale orchestral/choral works and performed numerous solo organ concerts. Francis Koerber was born on January 1, 1955 to Francis and Rose Koerber in Tarrytown, New York. Francis began his piano studies at the age of 5 and musical composition at 11. He received training as a vocal soprano and studied private piano under Thomas Sullivan, organist and choirmaster of Immaculate Conception Roman Catholic Church during most of his elementary education. Francis became a member of the renouned boys choir, taking its members from the adjoining school, this choir was an integral part to the liturgical life of the community, even providing music for weddings and funerals on a daily basis. Upon moving to Baltimore, Maryland in 1969, Mr. Koerber took up studies at the Peabody Preparatory of Music under various teachers in private piano performance, music theory and composition. Simultaneously, he studied theory at Towson High School under James Sipes and was a member of Towson High Chorus under the direction of Thomas Johnson. Mr. Koerber's collegiate studies included organ performance, composition and theory at Towson State University with organ professors John Hoffman and Thomas Spacht. He also studied composition with professors Theldon Meyers and Gordon Cyr and then went on to study composition with Jean Ivey at the Peabody Conservatory of Music. Mr. Koerber has held numerous posts such as Director of Music, Organist and ChoirMaster in Baltimore, Maryland, taking his first position in 1973 as Assistant Organist at St. Pius X Roman Catholic Church. He provided services as organist and choir director for the Basilica of the Assumption of the B.V.M. for over two decades. He has also held position as an Ambassador for Sibelius Corporation in the demonstration of their renowned software application for music composition, arranging and publishing and provided workshops and training. Mr. Koerber is presently a member of the Church Music Association of America. His choral works have been performed by the Baltimore Symphony Chamber Singers, Towson State University Chorale, Coro Odyssea of Lisbon, Portugal, and numerous church, cathedral, chamber choirs and ensembles including his own private ensembles. His liturgical settings have been produced and aired regularly on EWTN Catholic Cable Network. 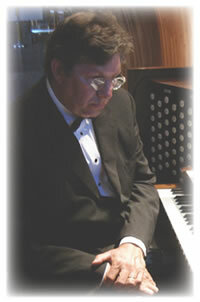 Mr. Koerber is self published through www.RomanCatholicSacredMusic.com. His latest venue, Teton Virtuoso (www.tetonvirtuoso.com), will be comprised of select musicial ensembles to perform his original compositions, including his latest work, Teton Wilderness Suite which he hopes to premiere within the year.